We have recently received confirmation from Plant Heritage that we have been given full National Collection status for Epimedium species, cultivars and hybrids. As visitors to this website have probably guessed we are pretty keen on Epimediums, so earlier this year after discussing with various people whether we should aplply for a National Collection, we decided to approach Plant Heritage. Quite a lot of forms were filled in and a few days spent as we have worked hard, creating accession sheets. 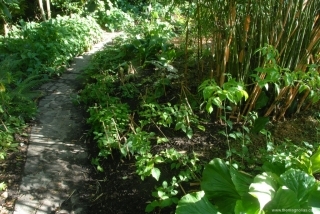 These allocate a unique number to each plant derived from a particular source. Also we have devised a four letter code to identify each source, be it a nursery or an individual, and two numbers indicate year the plant was aquired since 2000. For example 239-Edru-13 (accession number- Edrum Nursery- 2013) The year before 2000 is a bit irrelevent even if we knew them. We have purchased a Brother label printer which is connected to our PC and prints 36mm wide self adhesive labels which unlike Dymo seem to stick well to the tee labels, we have been using. Our son, Paul set up the printing of the labels so they include our Magnolia logo, which does give the completed label a touch of class. The labels also show the accession number, and source and date codes. The work in doing the above was quite time consuming but I am already finding it useful to know where a plant came from and when, from the codes on the label. 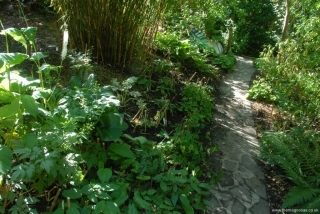 As well as the documentation and labelling works, we have achieved a fair amount with buying quite a few new ones and preparing areas for new Epimedium plantings. Each new plant is protected with four short canes, against badgers digging up the recently planted specimens. This system works remarkably well as badgers regularly dig between the plants without disturbing them. 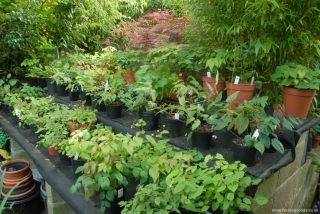 Plant Heritage like National Collection holders if possible to have more than one specimen of each plant, two growing in the ground and one in a pot. We probably will not manage this with many varieties, due in part to space constraints, but we will try to do this for all the species we can collect. 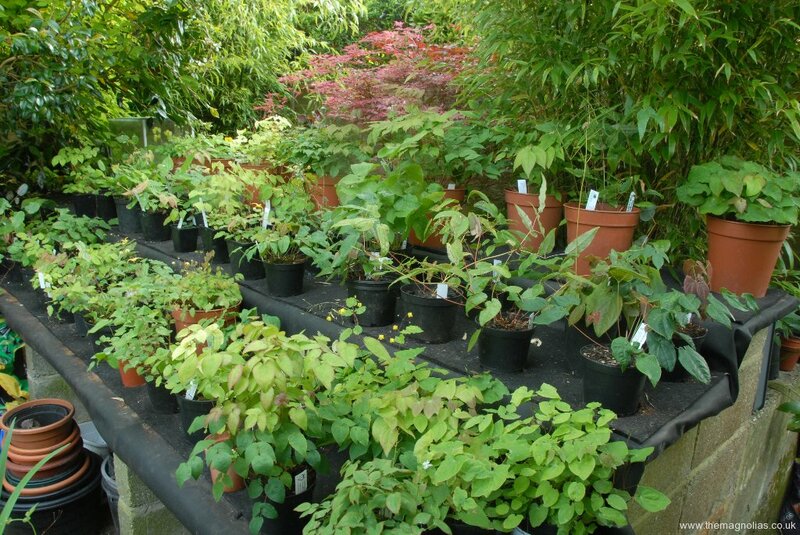 Previously we had few Epimediums in pots, only those growing on to a sufficiently strong specimen to be planted out. 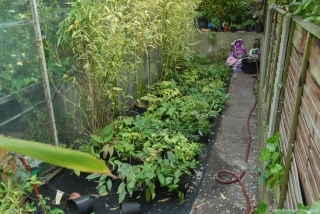 In order to show the potted plants off we have utilised our old plant sales, tiered area. 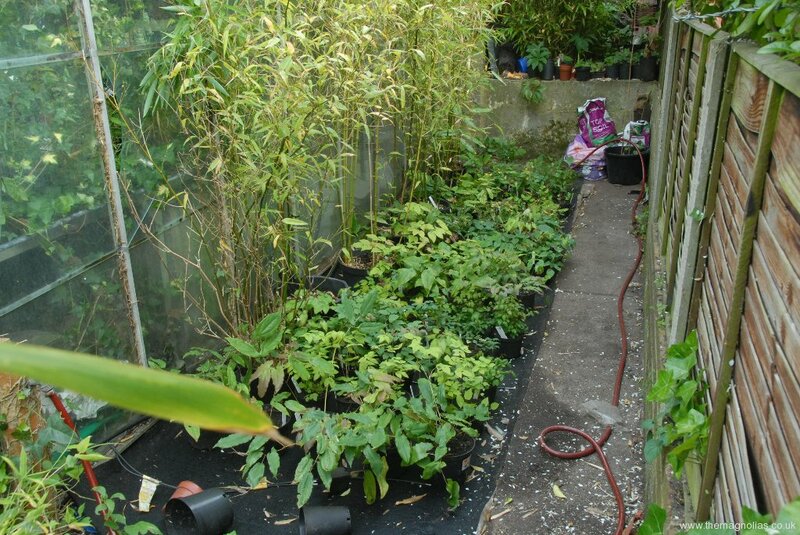 To accomodate more potted specimens we have started clearing a rather neglected area behind our biggest greenhouse. We would be please to hear from any other keen Epimedium collectors. This entry was posted in News and tagged badgers, Epimediums, National Collection by Roger Hammond. Bookmark the permalink.